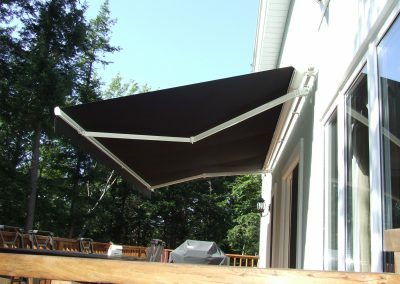 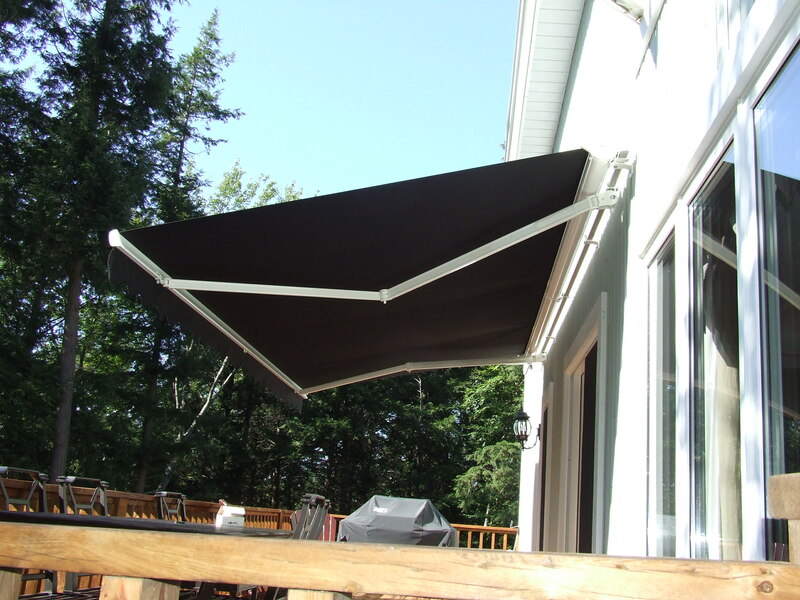 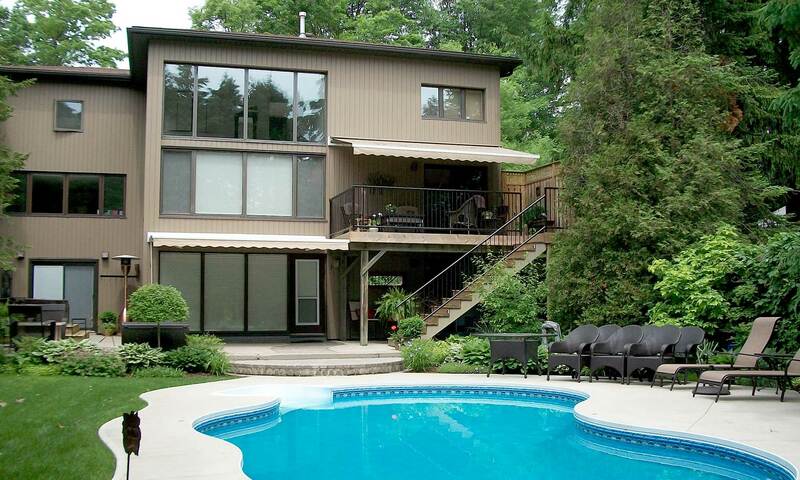 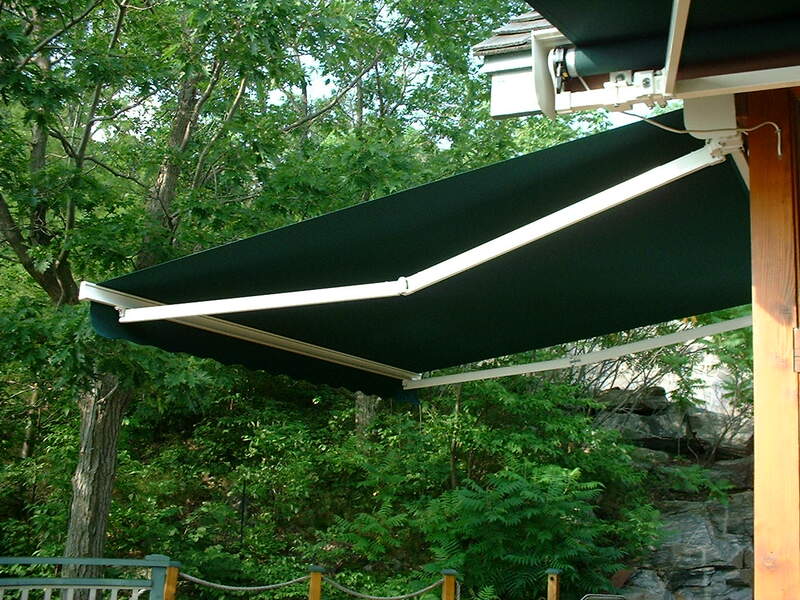 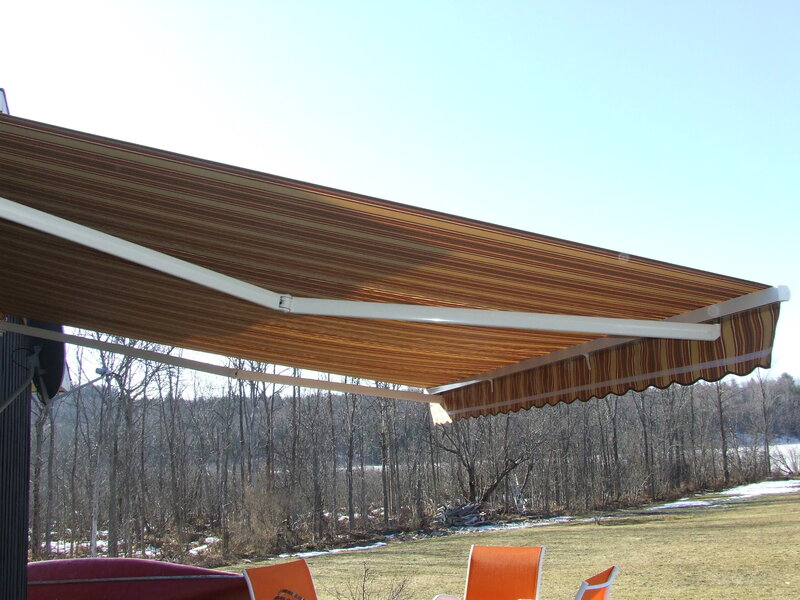 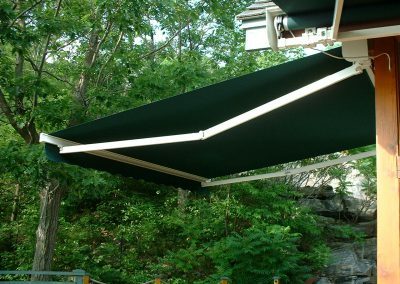 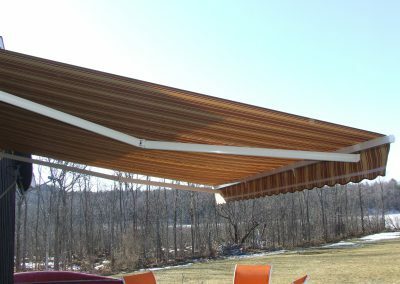 When your need for shade is big, Control your outdoor space like never before. 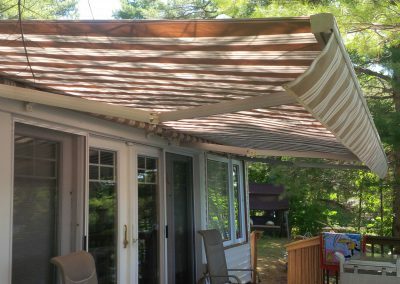 Protect your indoor and outdoor spaces from sun damage, by cutting glare by as much as 95%, providing shade and reducing room heat by as much as 15 degrees F.
Reducing the heat in a room with retractable awnings can reduce air conditioning use – and energy bills – by almost 25%. 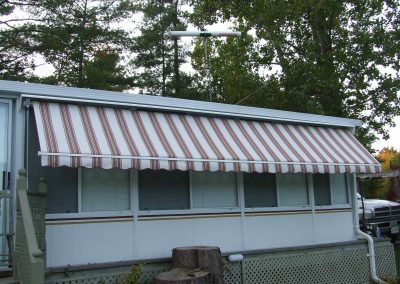 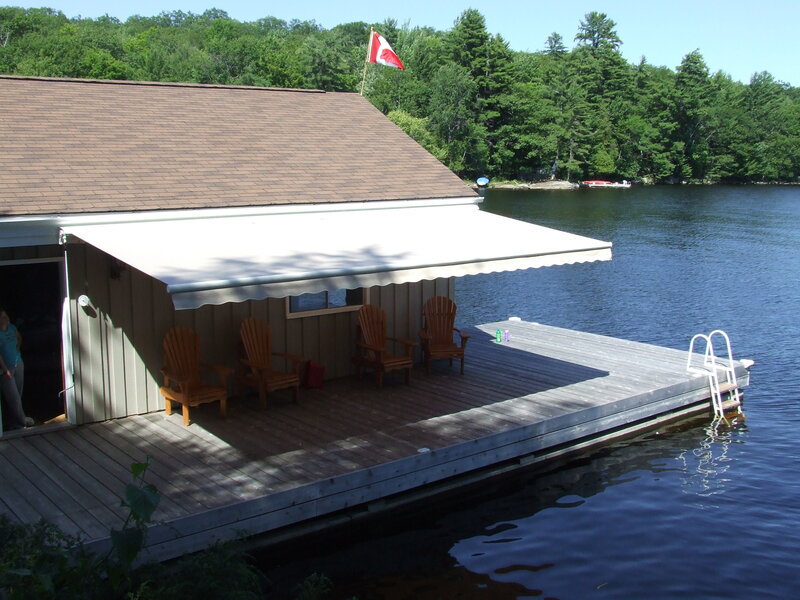 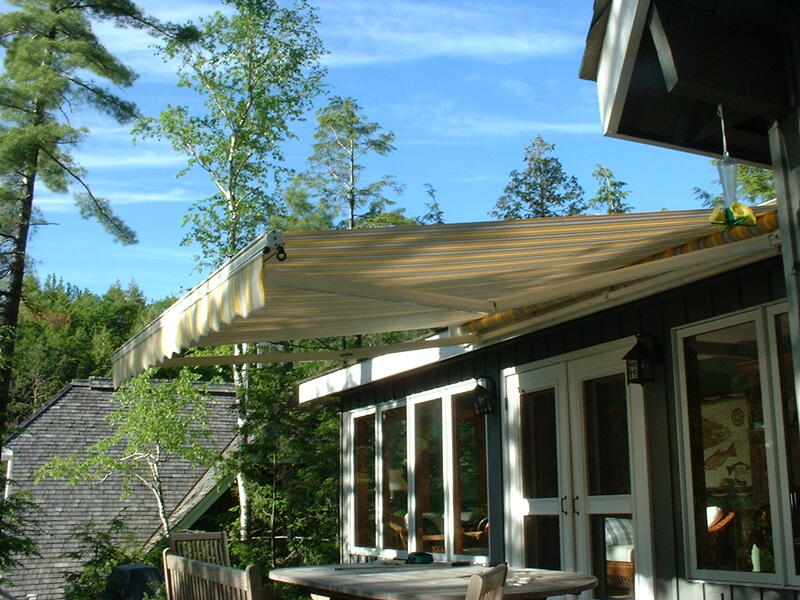 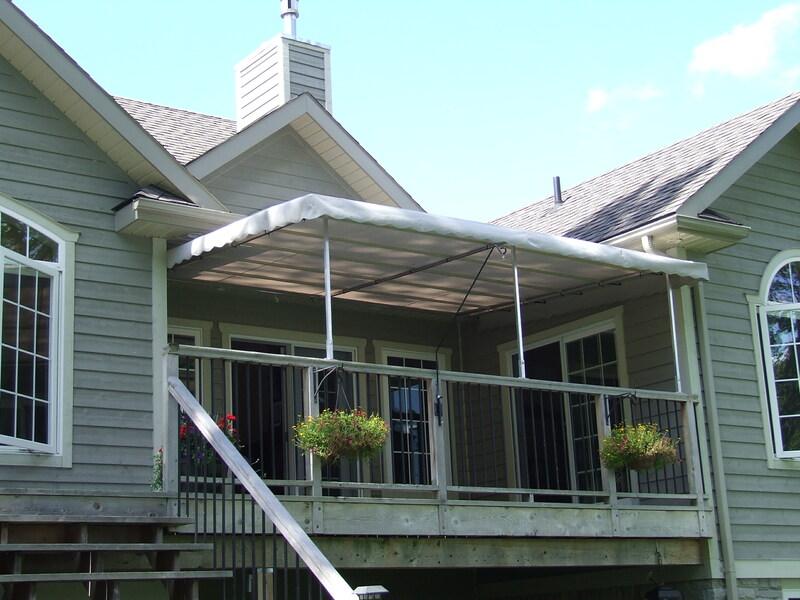 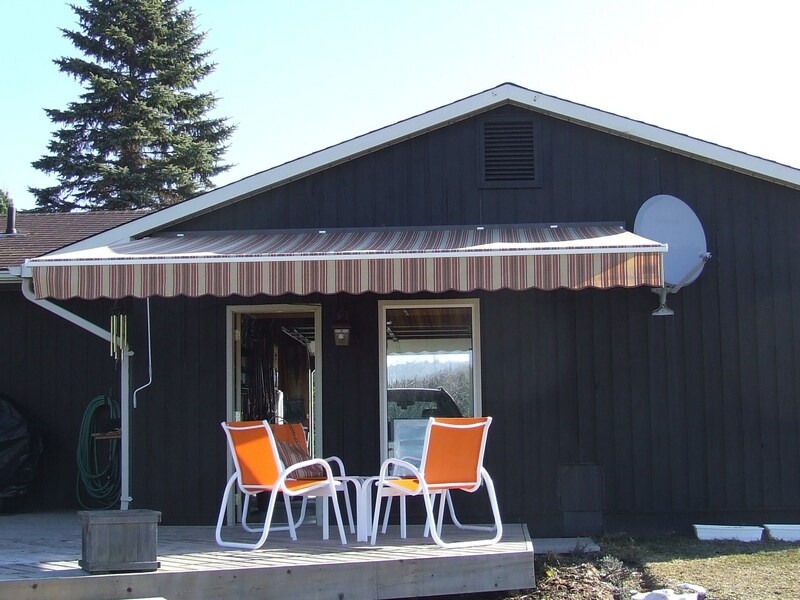 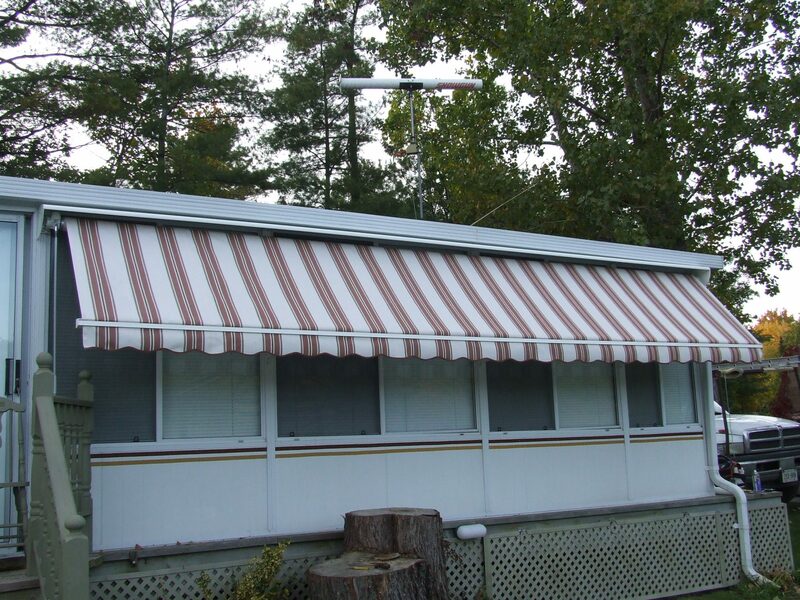 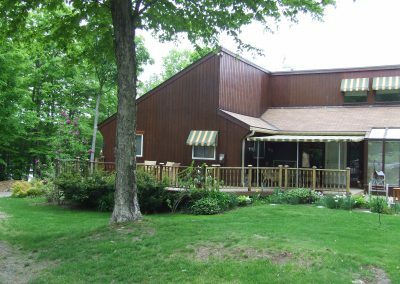 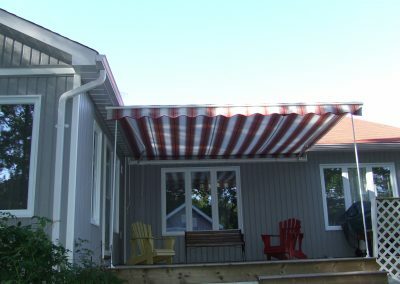 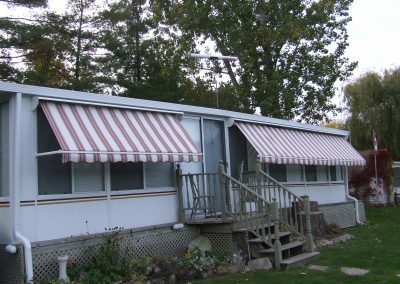 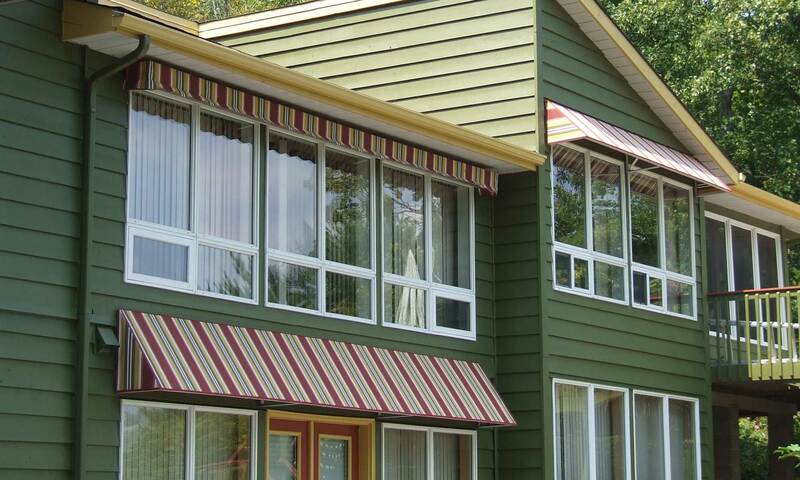 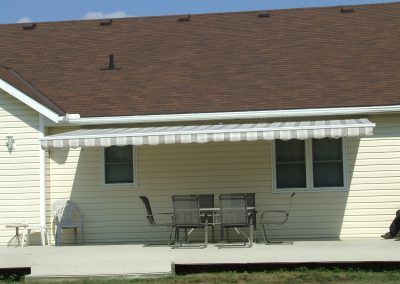 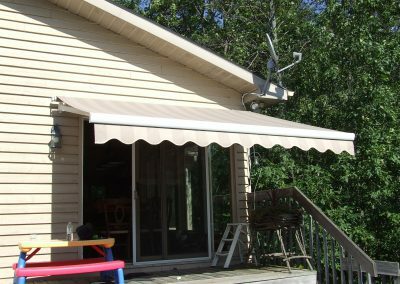 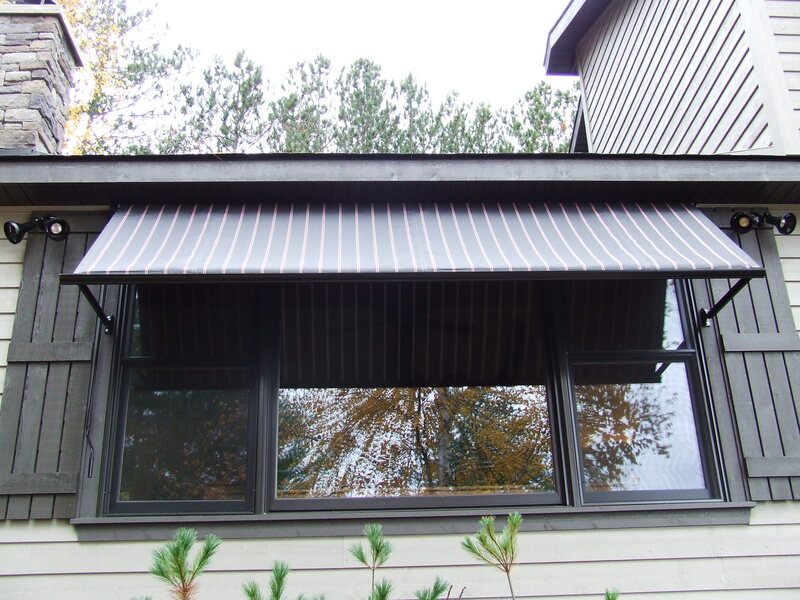 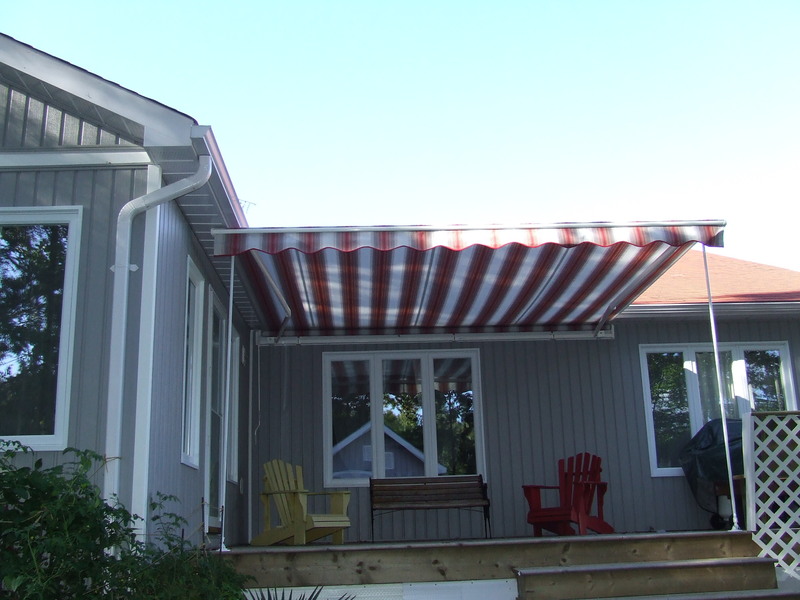 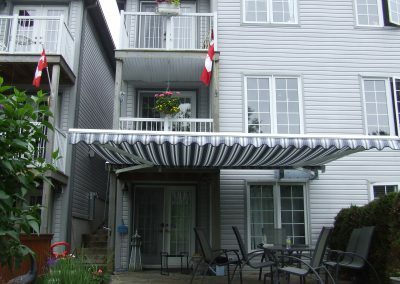 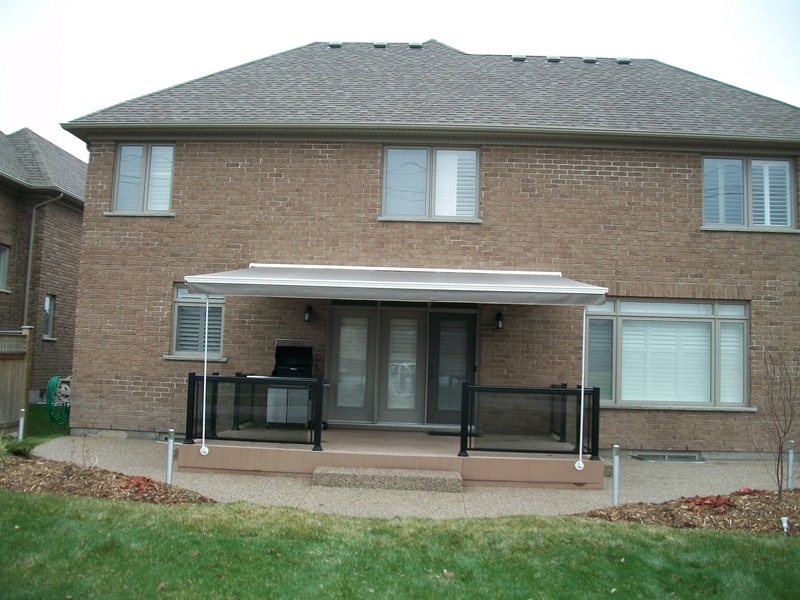 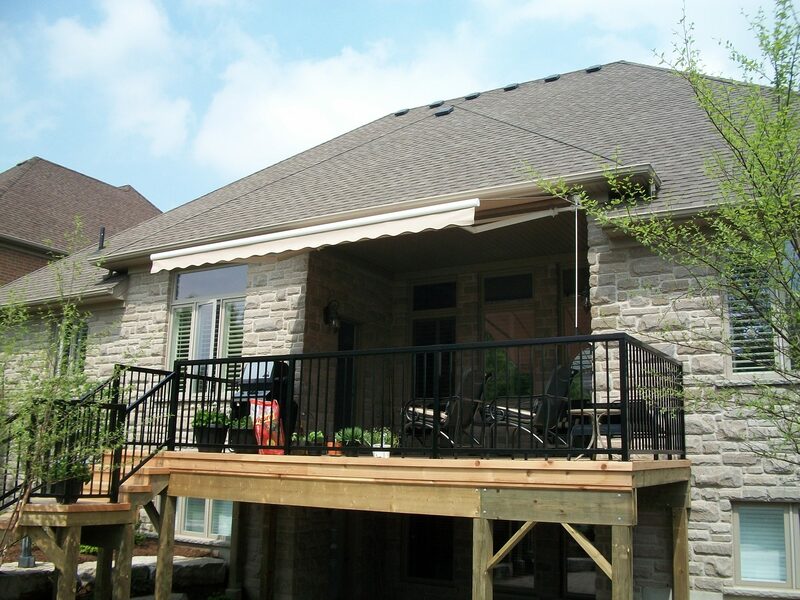 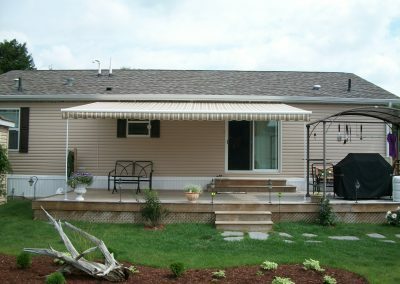 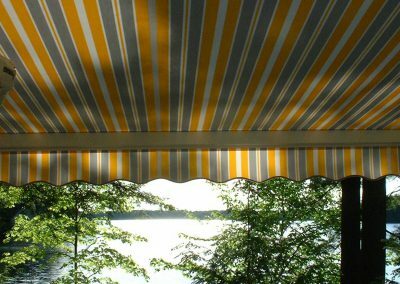 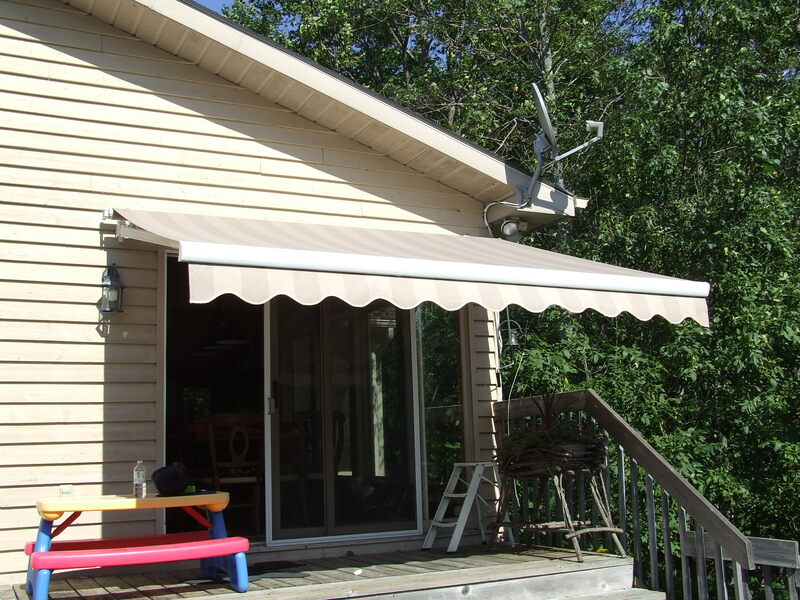 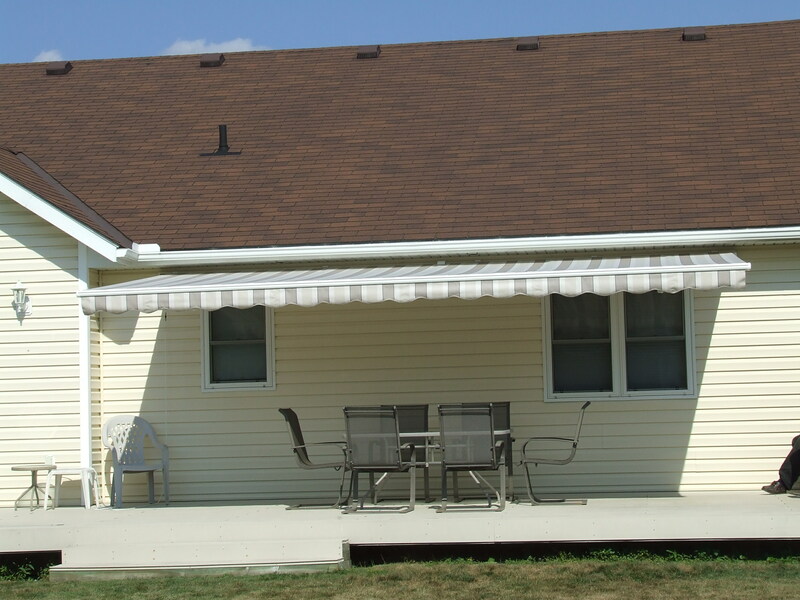 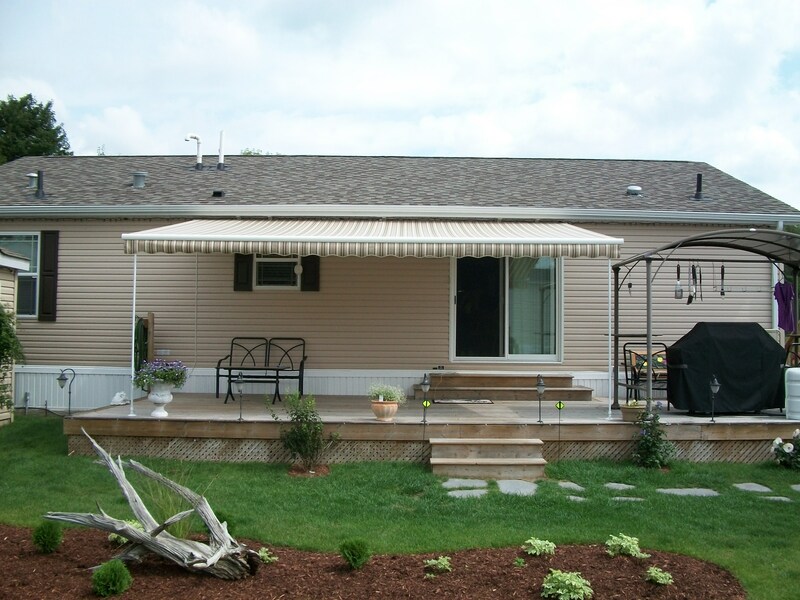 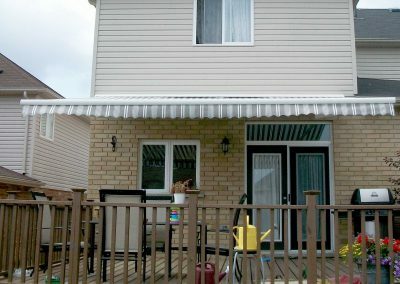 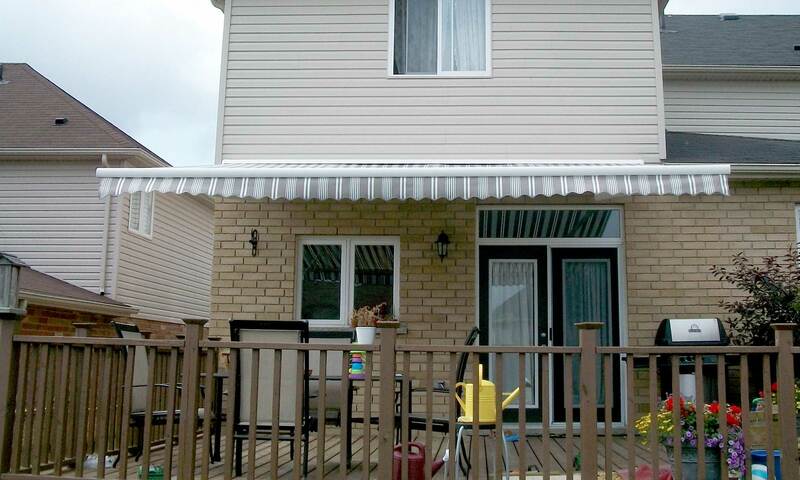 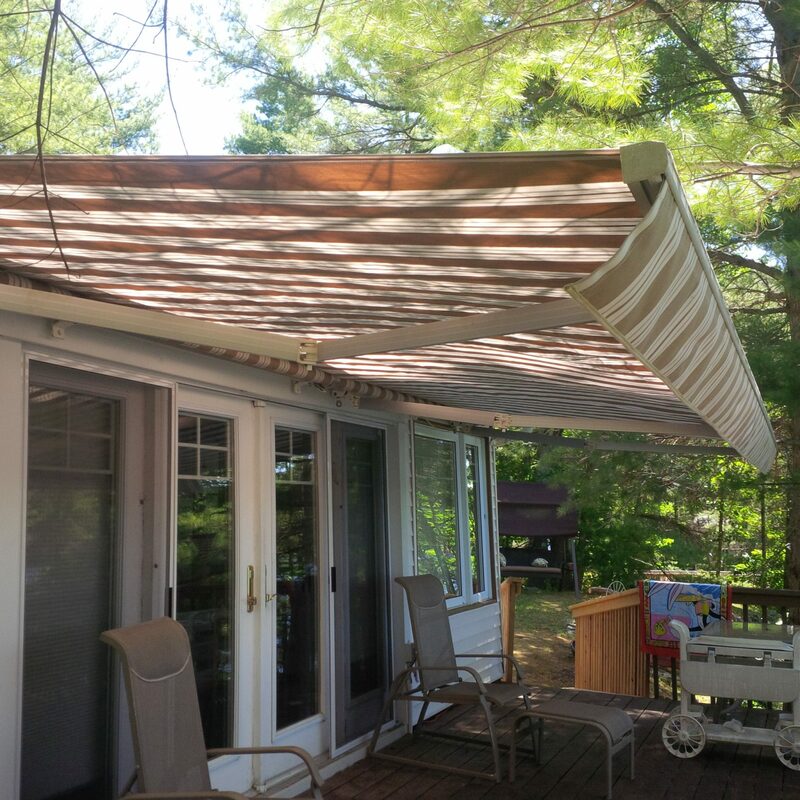 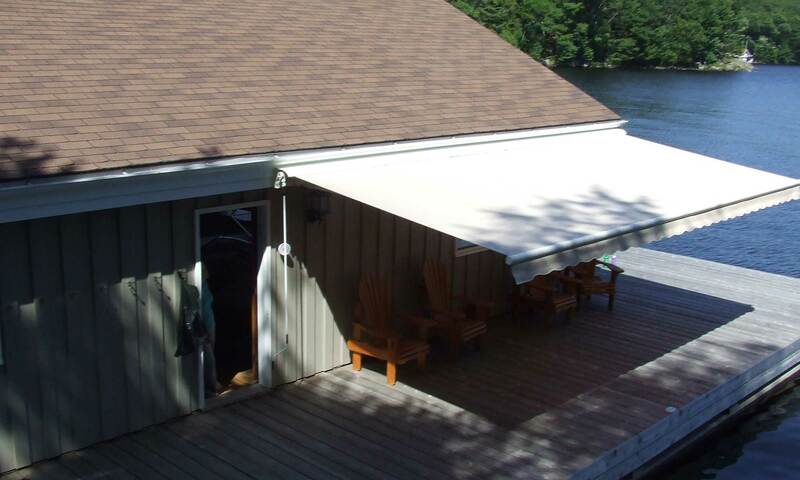 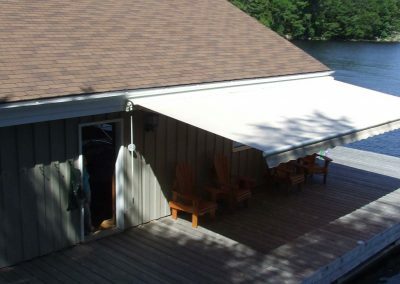 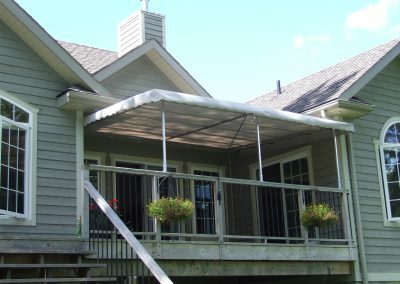 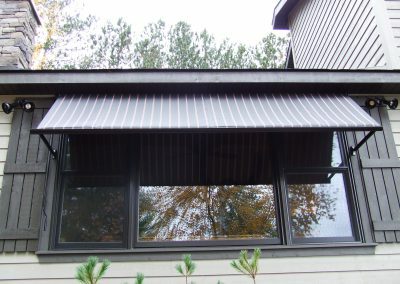 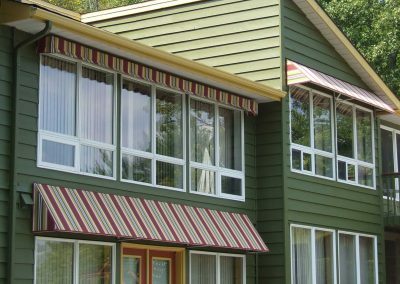 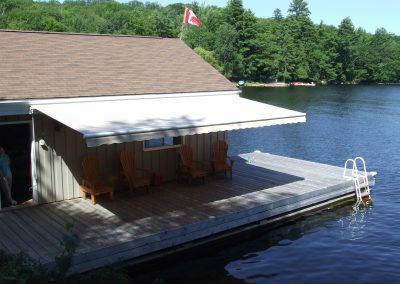 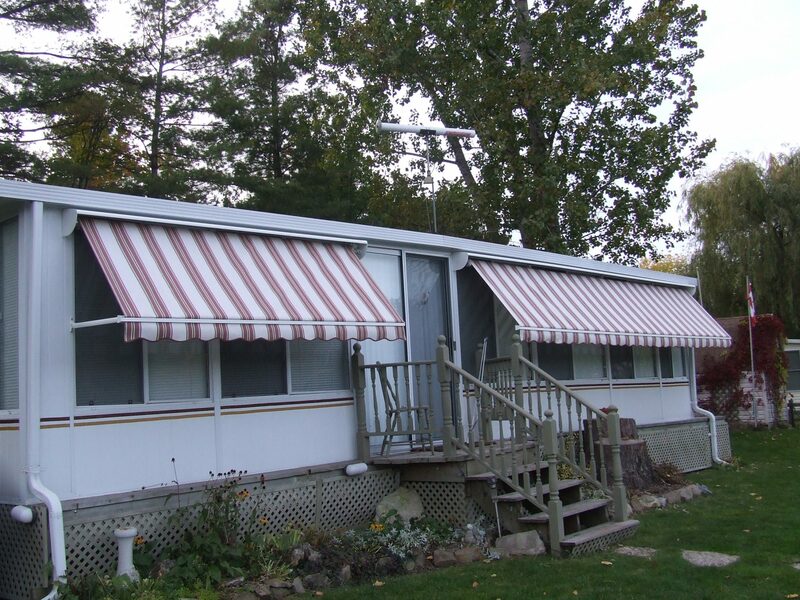 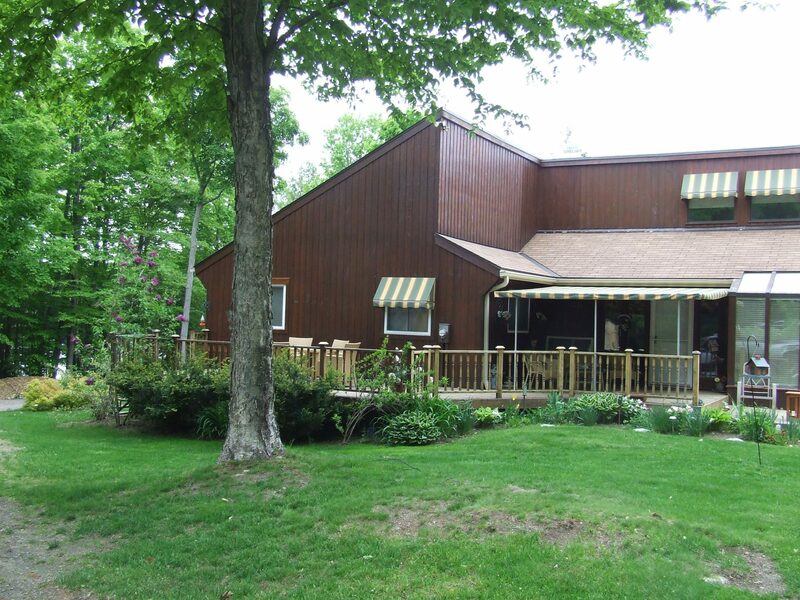 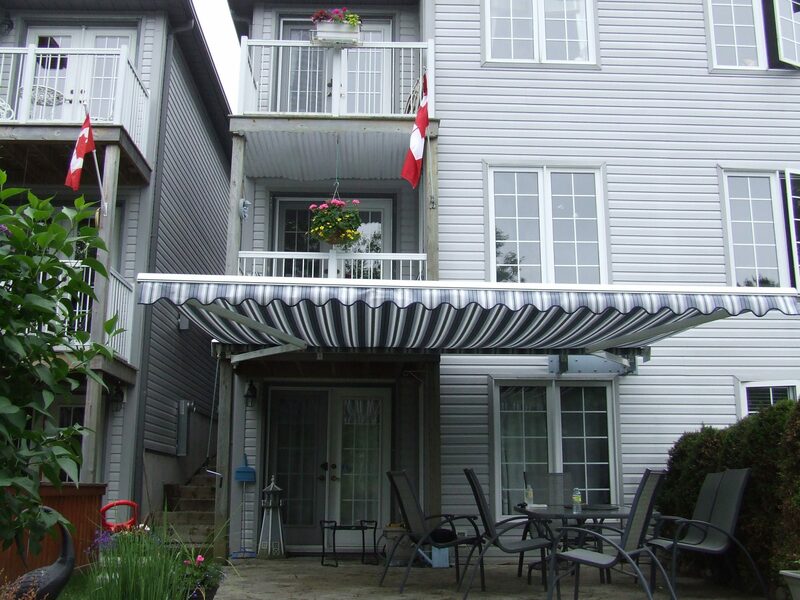 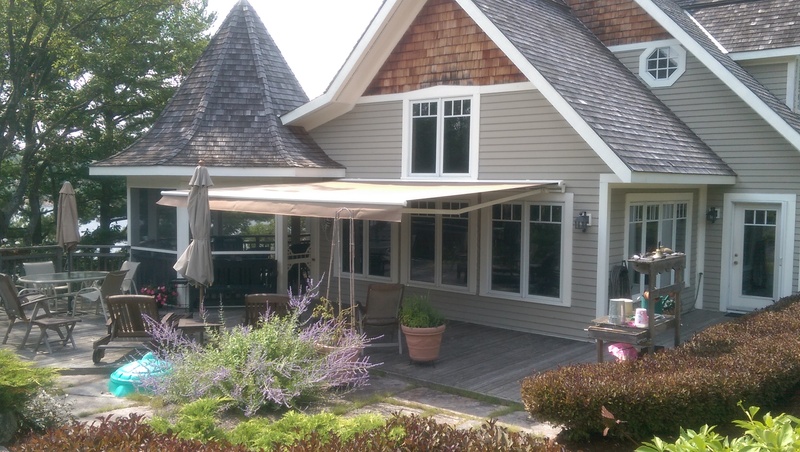 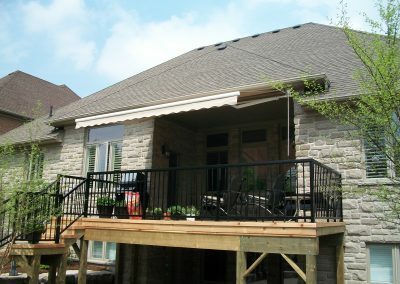 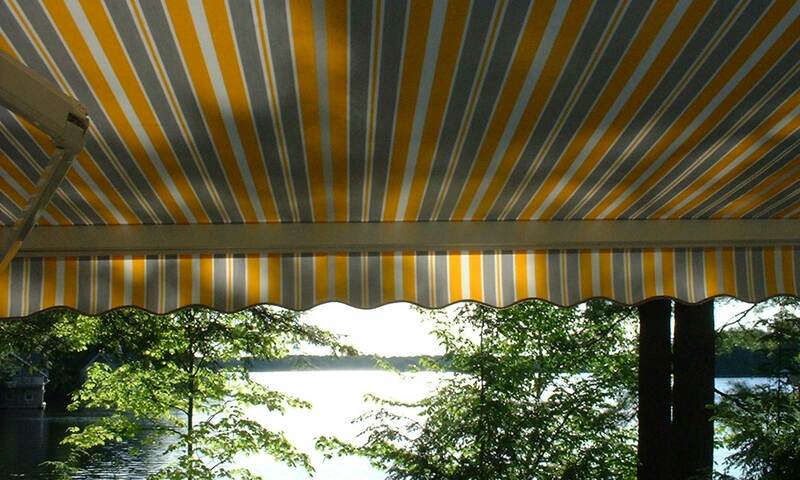 Choose from hundreds of the most popular brands of fabrics in solid or stripes to make your awning a smart and stylish investment for your home or cottage. 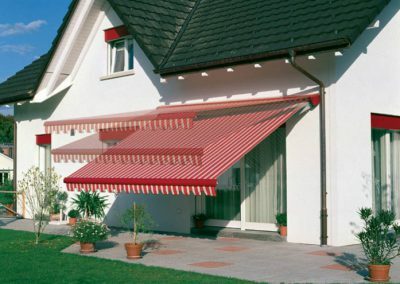 Remote and Automatic control for Awnings. 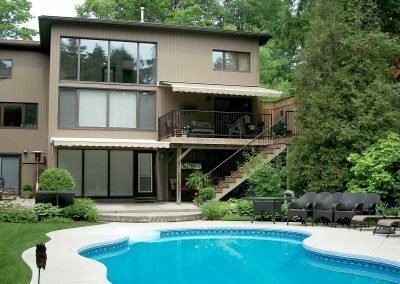 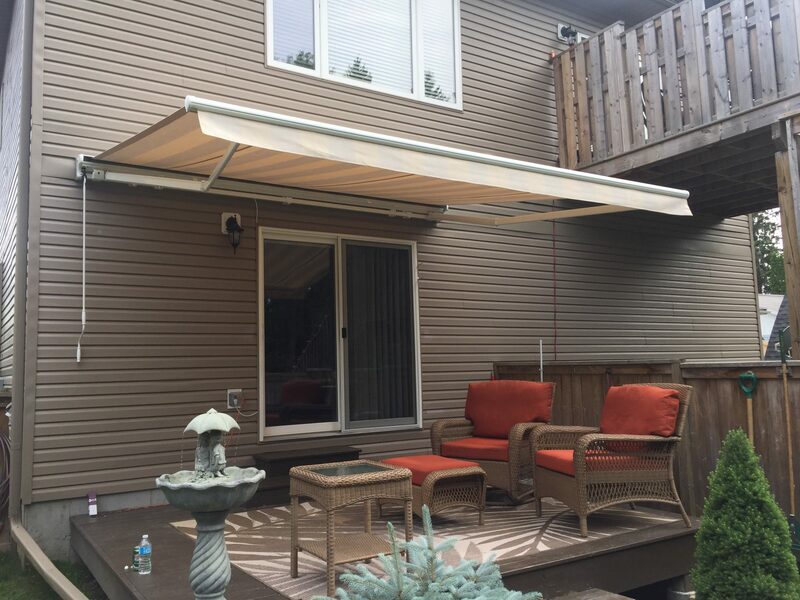 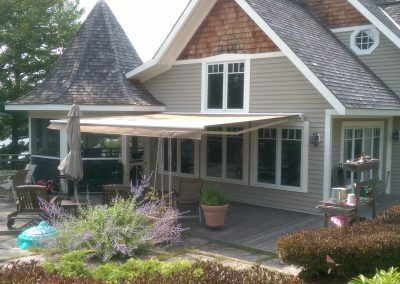 Somfy Automation gives finger-tip control, for the easiest way to extend or retract the largest, heaviest awnings around, or to control several awnings, even a whole houseful of them, from one simple push-button switch or remote transmitter. 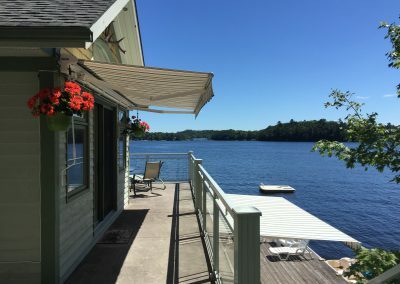 Somfy Automation gives peace of mind when away. 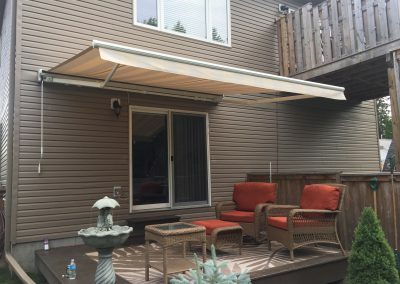 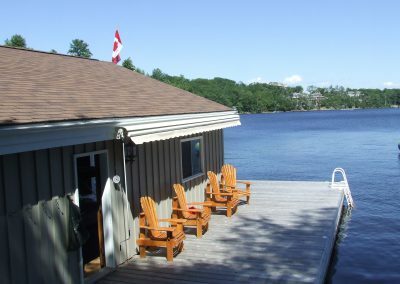 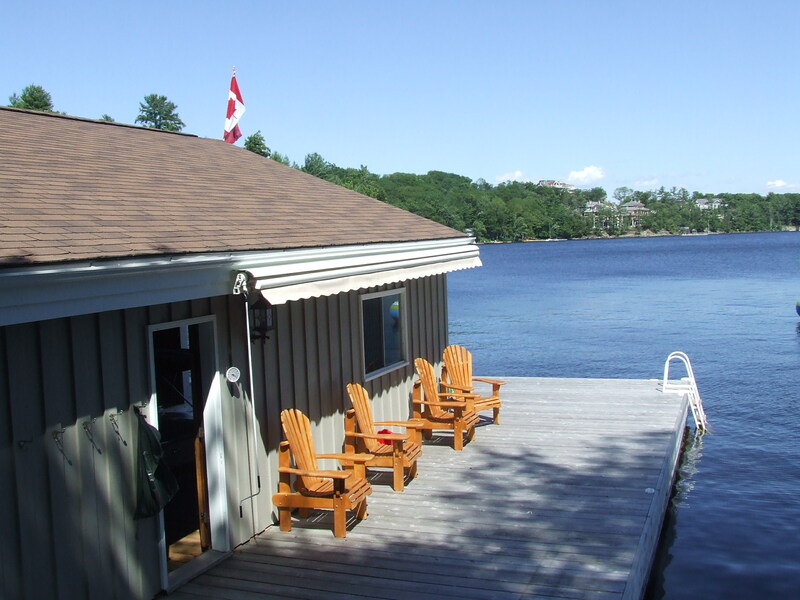 Somfy sun and wind sensors automatically protect a home from the heat of the sun, and protect awnings from the damaging effects of rain, sudden storms, and heavy winds.